A beautiful, primitive masterpiece! 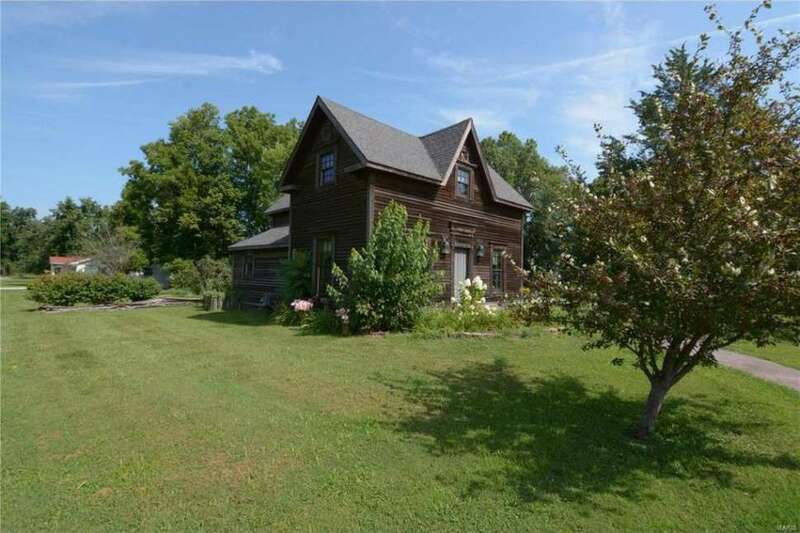 This home has all the charm of a century old home, but with the modern features of a new home! This home has been completely remodeled to take you back in time yet maintains the functionality and efficiency of a modern home. Amazing woodwork and attention to detail throughout the home! Countless hours spent making this one of the most unique homes you will ever see. Pictures simply do not do this home justice. Updated electrical, HVAC, plumbing, windows, siding, doors, and the list goes on! This two bedroom, two bathroom home is waiting for you to add your own touch and truly make it your own. A stunning master bathroom suite with separate shower and jetted tub. Very nice sized bedrooms on the second level with plenty of windows to let in the natural light. You will find a oversized dining room with utility room on the main level. A wonderful and cozy living room and a second bathroom on the main level. Unfinished kitchen to truly make it your own! Jim, as soon as I see that coffee colored floating flooring, my heart is broken. The owners took a rather ordinary house and made it extraordinary. They honestly could had fooled me into thinking this was 1815 not 1915. Everything down to the furniture and decor is very authentic. 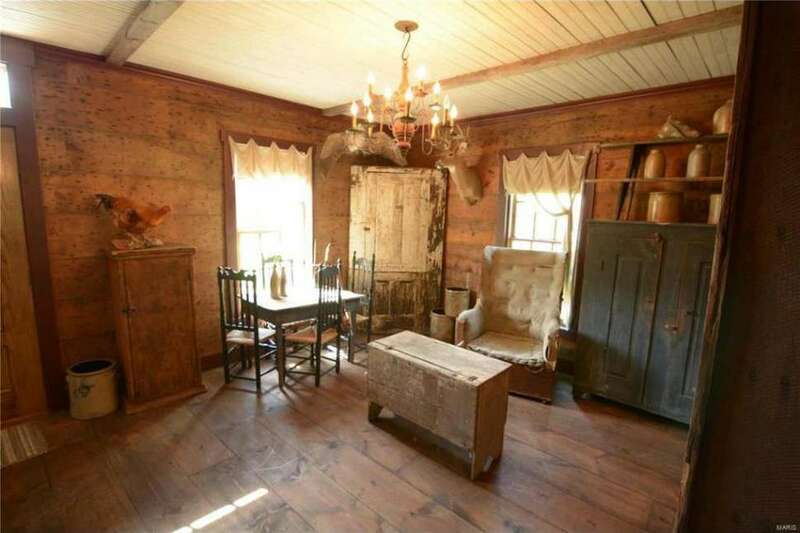 It almost looks like a museum house. Great job! Wholeheartedly agree. This sweet house is a work of art. A home, yes, but it is like really good set design. Remarkable. Obviously the owners really love what they do and had a great deal of fun in the process though no doubt put in some serious hard work. 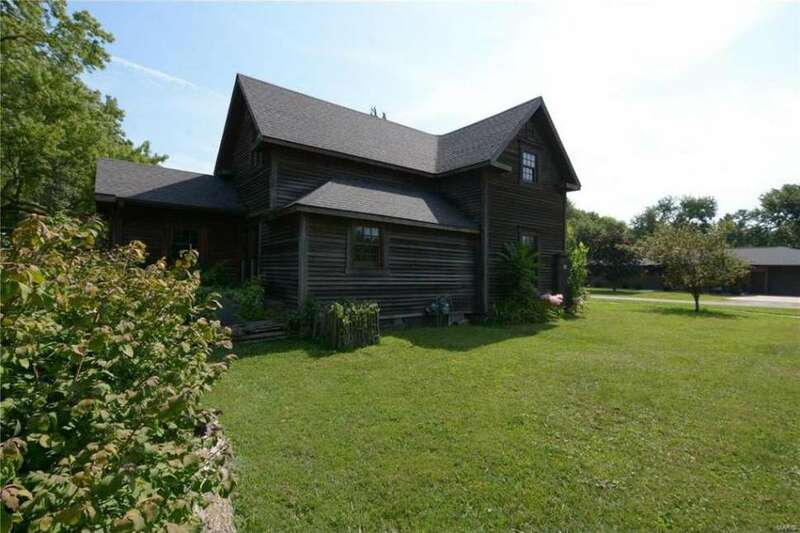 I would totally buy this housein a heartbeat if I were looking to move. I think it’s PERFECT! Love everything about it! What an interesting transformation! I like it, you can tell that a great deal of love went into it. I love it- so many ideas for a kitchen that would compliment the rest of the house! This is so cool! Not for purists, I know, but I really like it. I hope the owners find a very old colonial to restore, because it looks like that’s what they would want based on this house. I bet it took them a good long while to strip everything off the walls to get to the original planking…. I bet they pulled nails in their sleep! W O W, W O W, W O W! The vision these owners had and how nicely they carried through with it. This is going in my favorites. They have done a tremendous transformation with this house. I would love to see pictures of the interior before they began the transformation. Just WOWZA for this house and their decor and furniture! A house to steep oneself in; body and mind. It just reeks of relaxed history. 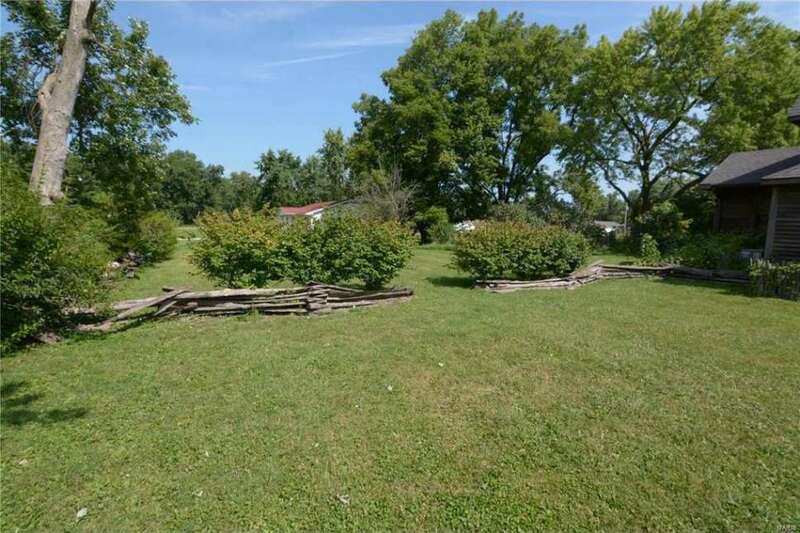 Pretend you’re in colonial Virginia. Would love to own this. am in love with this house. Want it now. Wow! That’s quite the transformation! 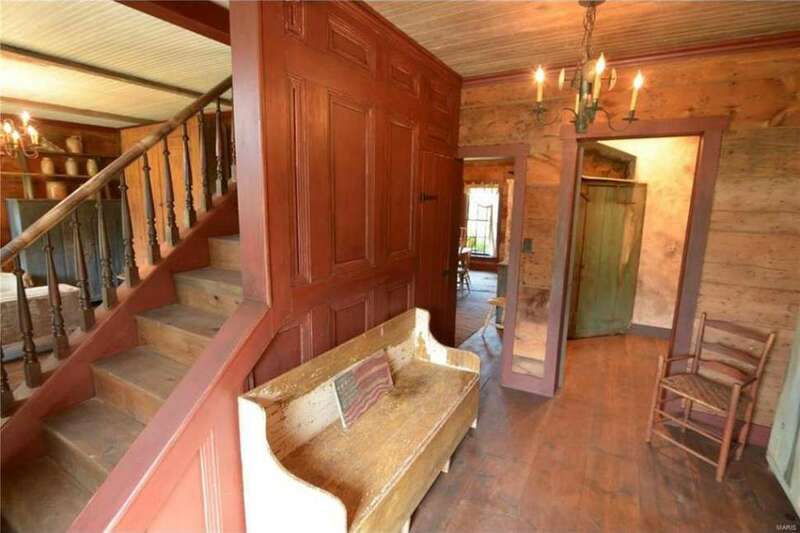 I love the exterior, and pretty much everything about the interior except the faux-distressed paintwork. I’d want to make the fireplace match the style of the staircase too, but other than that it’s a truly inspirational job that’s been done! Wow – this represents a lot of work, and a LOT of collecting all these great furnishings. It takes a special person, though, to appreciate such a dark interior – that’s a very tiny segment of the population. It will take a while to find exactly the right buyer,but if they can afford to wait, more power to them. It is quite the transformation, from a 1912 house – maybe it was in terrible condition to begin with, so this is a huge improvement. It DOES look like one of those early gabled-houses in Salem, Mass, doesn’t it? My new Favorite, I LOVE it all! Wow really great home. I would want all the great items collected. So much love is apparent in this home. 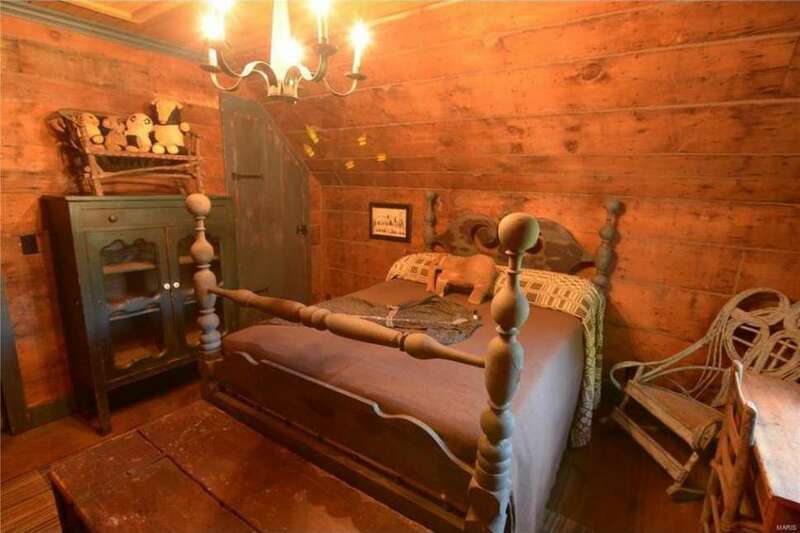 I don’t know much, well, about anything, really; but I did wonder if it is surprising to find a paneled staircase like the one seen here together with the much more rustic headboard/shiplap. What does this mean, if anything? I don’t think it means anything. I think the paneling is new to mimic the Colonial Era appearance they were after. It means that you are not seeing a genuine 1912 interior, nor are you seeing a genuine 18th century interior. The owners like the earlier period for decorating purposes, and that’s what they wanted to re-create in this much-later house. I would like to go shopping in their house for their lovely furniture. And I think this is one of the first houses I’ve seen with bathrooms I wouldn’t change at all. Very very appealing overall. Did you really like the 12″ square ceramic tiles on the walls? To me, that is jarringly out of place with the look they were going for. Not a totally bad look, just jarring against the rest of the primitive theme. Well, no, I didn’t love those ceramic tiles per se, but given that they couldn’t reproduce an outhouse exactly, I think it works pretty well. I liked the furniture used WITH the bathrooms! Now you have me pondering what tile would work better. Well that’s different, and charming! Love the furniture pieces too. Wow! 109 K probably doesn’t even begin to cover the cost of all that went into it! 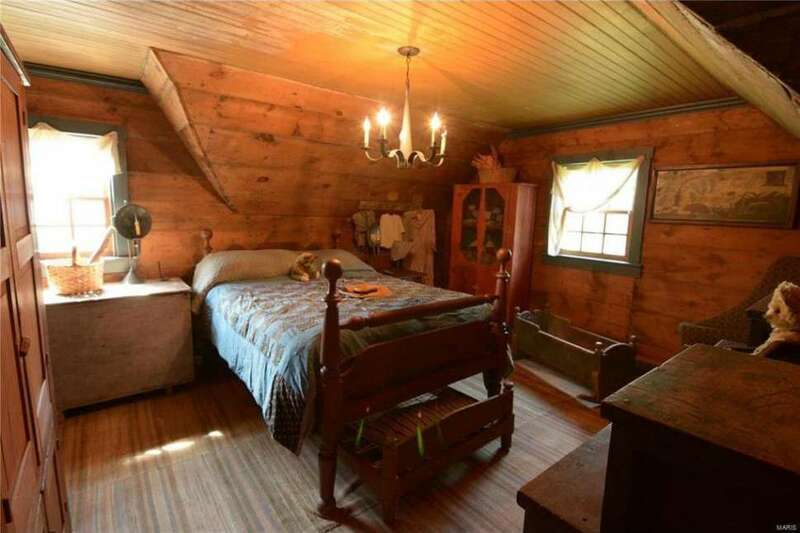 Those wide pine floorboards look older than 1912 to me. From the description, sounds like the floors are “new” too, although new-new or old-new, I can’t say. Love everything about this one including the furnishings. Just perfect. Love this house!!!!! Home decor is so lovely too!! I am totally in love with everything about this gorgeous home. They did a very good job making the inside look authentic Colonial. I’m not liking that they took the porch off. I never have liked that “right in the house” look. I don’t know if there would’ve been a way to re-design a porch to compliment the look they went for. I love this home!! Wish I lived closer! We would all like to see homes preserved just like new. However, it is not realistic. All homes, even brand new, are changed by each subsequent owner. Otherwise we would be cooking on wood stoves, by candle light and going to the outhouse. I love how these owners have repurposed the home to allow modern amenities without losing the charm. I could move right in right now! lol I hope all of the furniture stays as part of the deal! Kudos to the owners for their vision and sticking to it. 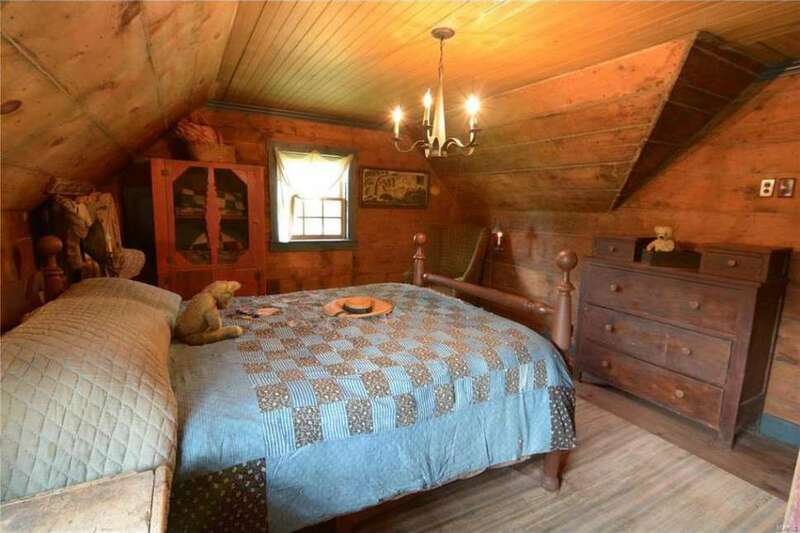 There are too many cool things about this house to list. It’s obvious it was a labor of love, done very well! Love this house!💙 the only thing I would change is that tile in the bathroom to match the rock in the other one, and not sure about the color of the cabinets in there either. But easy changes. Prim passion! Not only do I think this house is fabulous but the kitchen is is incredible! Finally, an old pre 1830 kitchen that looks right. 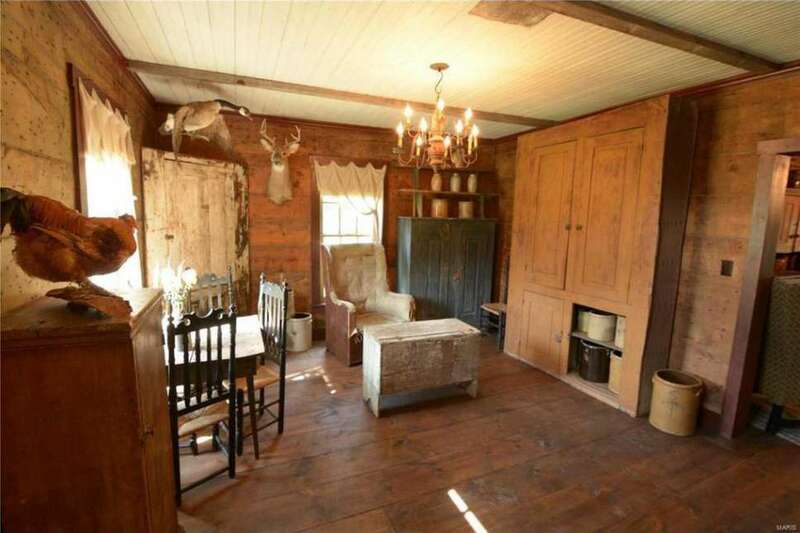 The only thing it is missing is the huge fireplace with the wrought iron pot hooks and the beehive oven. To the owners and creators of this house, Thank you! You did a beautiful job and your creativity and execution was brilliant. You have created a work of art that you should be proud of. Slides 17-21 are the kitchen! lol, unless I am hugely mistaken, which I could be. A really old kitchen doesn’t have a stove, oven, fridge or what we think of as a kitchen. 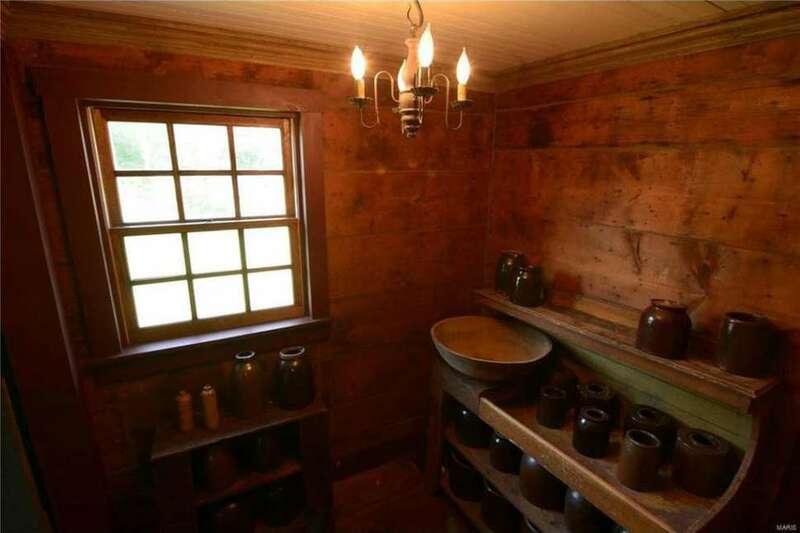 It has a table, a fireplace and some cabinets to hold the dishes. 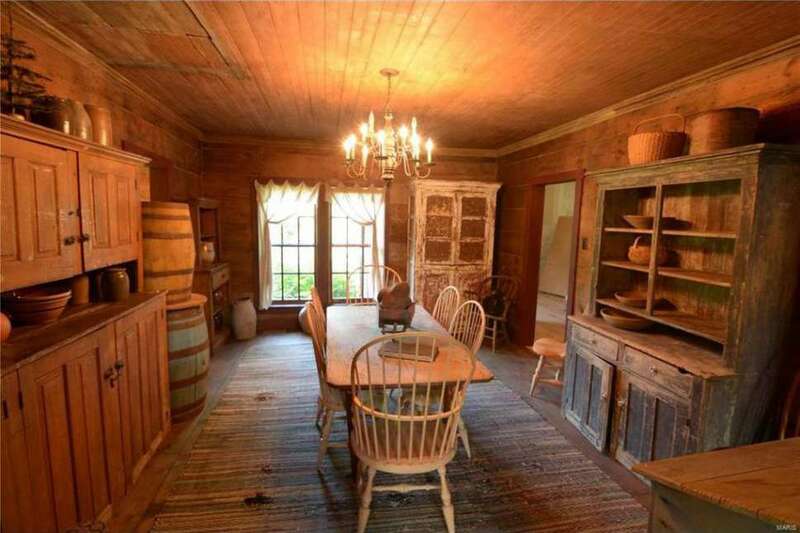 Or it could be like Bronson Pinchot’s hidden kitchen. Maybe I am just really hoping that there isn’t some 1990 kitchen in the back some where but the owners have done this house with such class I thinking surely they wouldn’t have left a modern kitchen in it. I thought that was a dining room. In picture 14 there is a doorway going into a room with a green corner cabinet that is not shown in any other picture. It appears to be a room that would be connected to what seems to me is the dining room. It would be on the other side of the stairs in picture 12. The doorway would be on the other side of the barrels in pic 17. 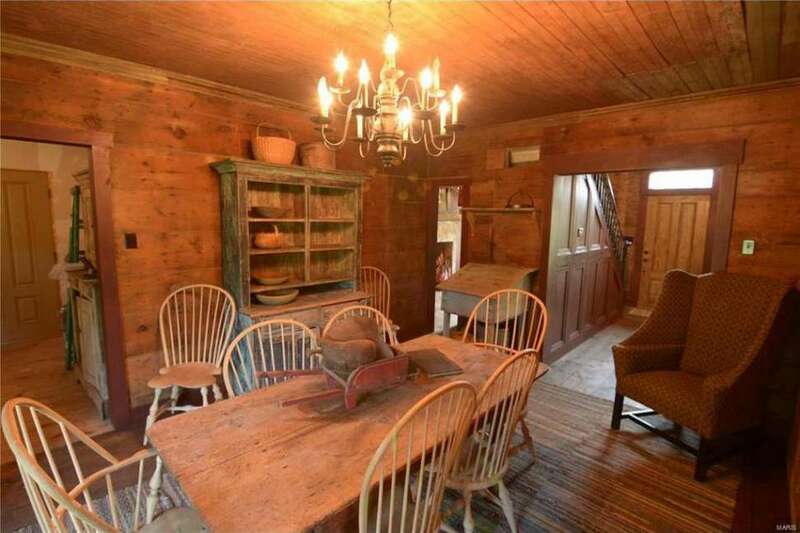 Maybe the kitchen is so ‘primitive’ they thought it would be a turn off to potential buyers. I agree, I hope there is no 1990s kitchen. If there is, I hope it is hidden! 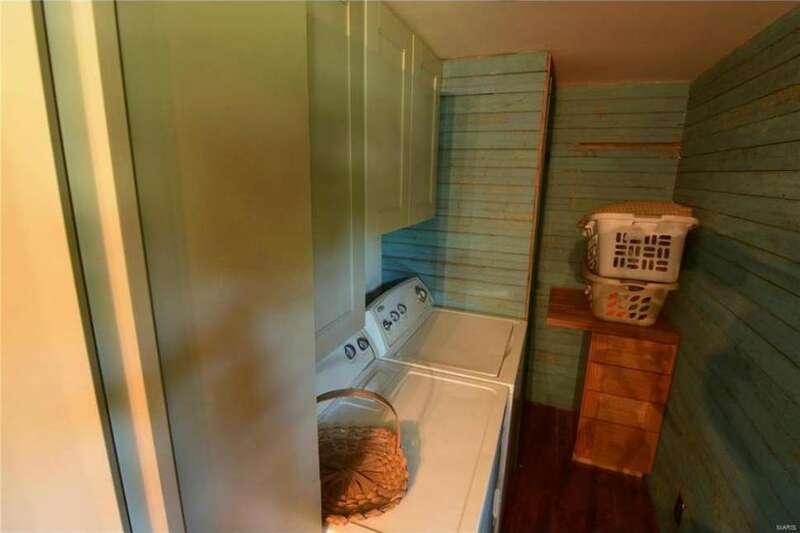 I went to the realtor’s site in hopes of a kitchen picture, but there’s none. I’m guessing they are not showing it because it is incomplete. After looking further the cabinet in picture 14 is the sink shown in pic 28. I hate mysteries! Love it! 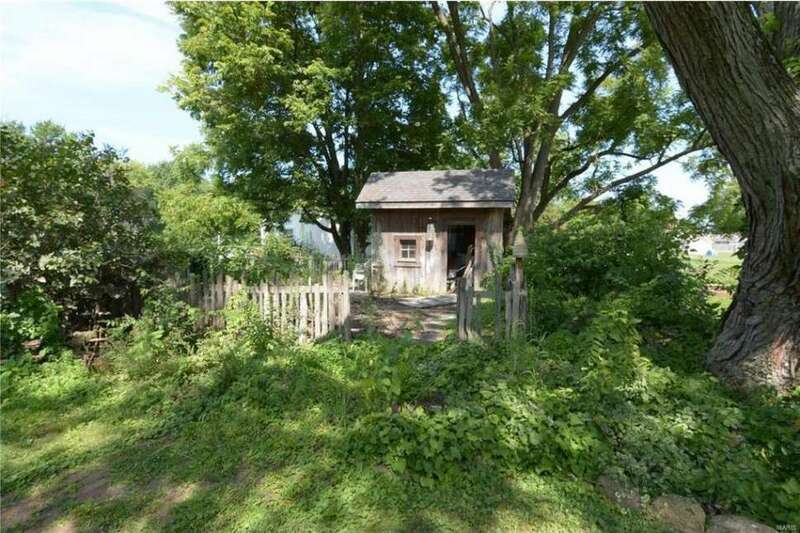 Reminds me of a Little House on the Prairie kind of home. that is EXACTLY what I thought, with the thankful exception of modern utilities. At least you don’t have to climb a bunch of steps to get to the front door. It seems all the old houses were built HIGH off the ground,when you are young it doesn’t matter but as age creeps up it does matter.This house really represents the era when it was built correctly. I guess they don’t get snow, and melting snow,in this part of the country, like we do here in New England! Not my style per se, but I’m wondering why there’s no rain gutters? Rain gutters are not totally necessary. If you have enough of a roof overhand and the ground is graded correctly at the foundation. Love this. I am a primitive soul. Wish I could find more of these lovely cupboards here at home. I love each one in this house. Someone worked very hard on this house and it works. 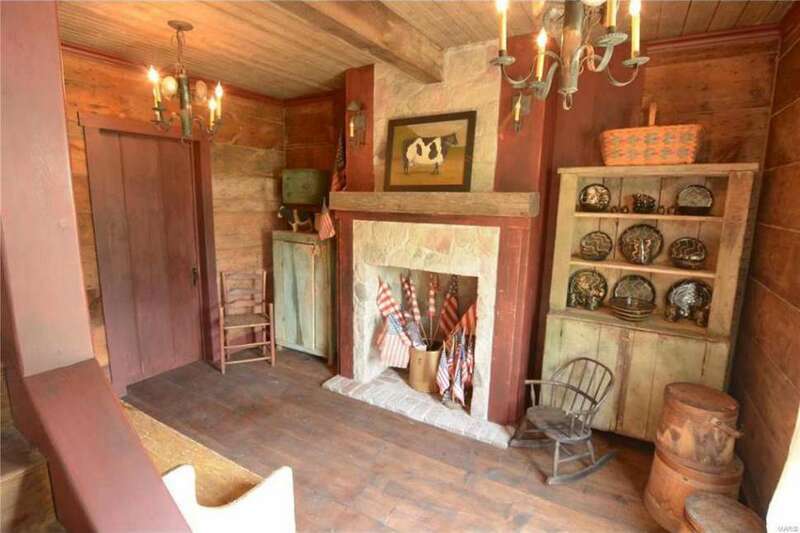 I absolutely love this house and everything in it (with the exception of the animals on the walls). I wouldn’t change anything else. 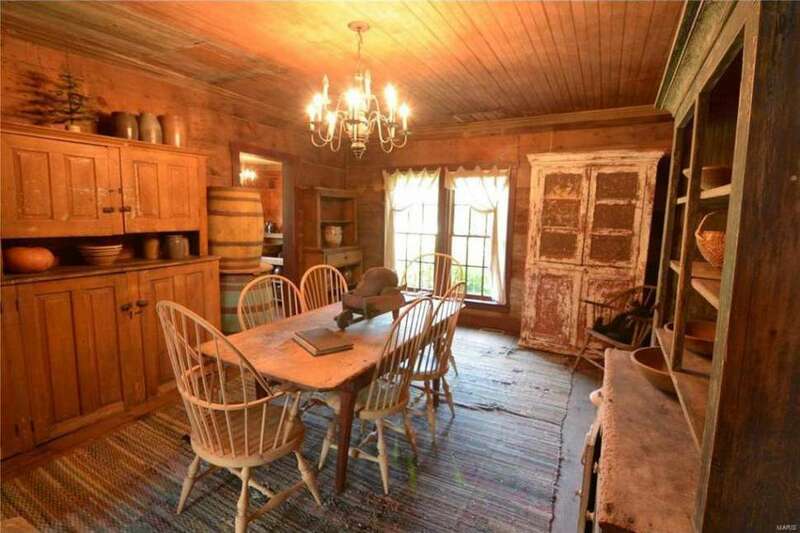 I love the rustic primitive look – even if it’s not all ‘real’. I think the owners did a wonderful job and hope the new owners continue the feeling. Oh my! All I could see was the beautiful décor. Once past that I saw such I lovely doll house. What a fun fantastic house! I love it! Just in the wrong state! The price is phenomenal! There is nothing not to love about this house! It’s Tasha Tudor and Simple Life Magazine all in one. I would buy it today if it were here in Alabama. I can’t take the cold weather there in the same way some people can’t take the hot weather and humidity here. I love the colors and all the furniture. The primitive style of decor is a special thing for special people, certainly not for everyone. But those of us who love it, love it with a passion! I by-passed this one when you first posted it since it was so far north, but looked (and looked and looked) at it last night. Just finally had to see if the inside matched the outside. What a treat! I guess I’m dense, but I’ve never thought much about buying and taking a house completely backward other than just eliminating modern muddling of an older home. 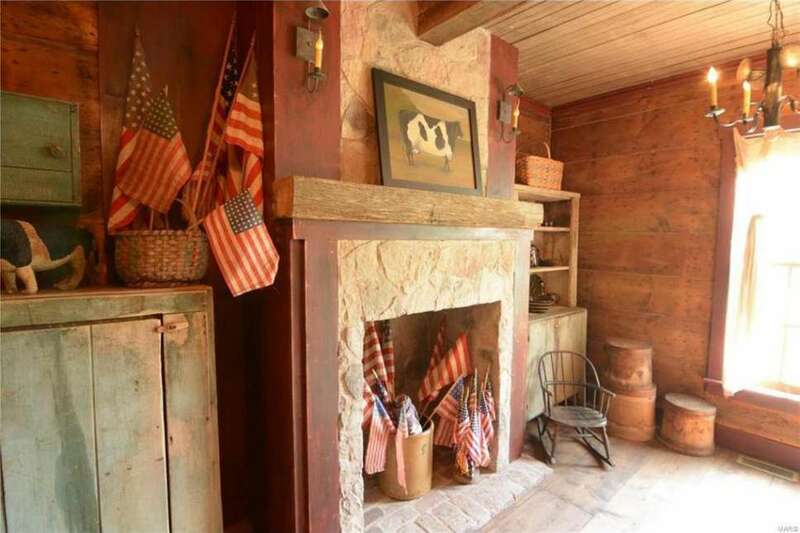 The era reproduced here was just so much cozier than modern homes I see. 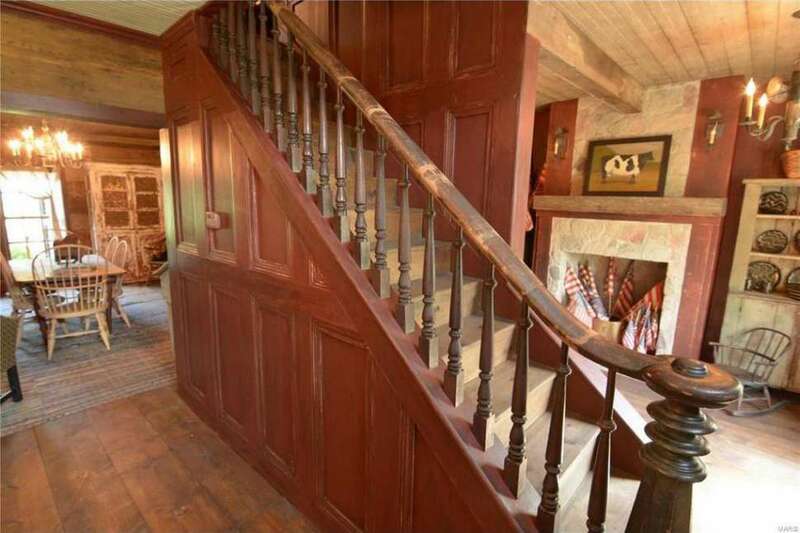 The paneling wrapping the stair looks less primitive than the rest, but I love that look. Owners have just cornered the market on wonderful primitive cupboards/cabinets. I would have to taint it just a bit with a couple of lamps so I could read, but I like it just the way it is. Such an indulgence of primitive excess. Oh, and Marshel, I looked at a house just last spring west of Montgomery that had a few acres that reminded me of this one in part of the house. I don’t think it sold but was removed from the market. 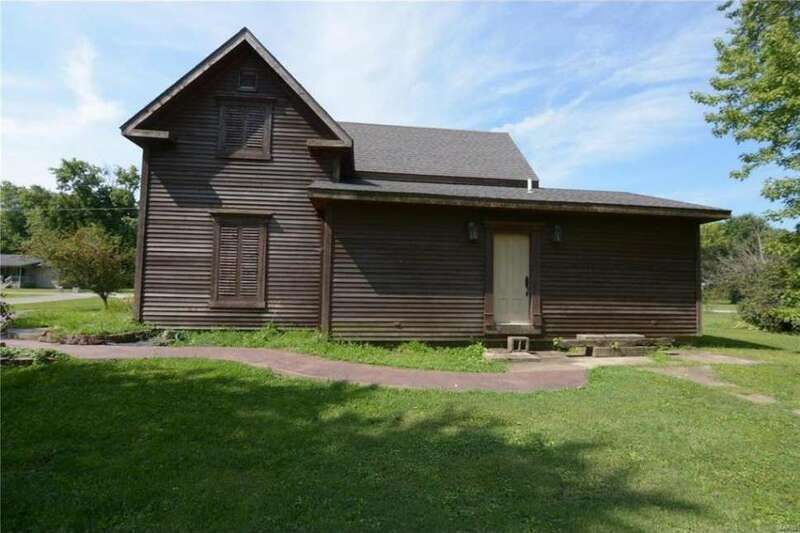 It was being marketed by a Marion historic home agency. Thanks for the treat, Kelly. I LOOOVE this lil’ slice of ‘country’ heaven. It’s a dream, (almost everything) inside AND everything out. The current state of this home is amazing, ESPECIALLY after seeing the, exterior, ‘before’ street view (WOW!!!). Kudos and Blessings to the folks who orchestrated this Magical Transformation! Posted last year, new agent, photos and lower price. Moved to front page, comments above may be older. Many of you are positive about unpainted woodwork interiors — something about me reacts wildly to unpainted exteriors! In reading the above older comments, maybe there is something “rusticly primitive” in each of us. I panicked at the Google street view, thinking someone had ruined it by modernizing — how lovely that it was the other way around. I agree with the stated praise for the owner-renovators who had a dream and reproduced it with such elan and do hope they are not having to sell for a loss. Yes, I love the interior and exterior of this house. 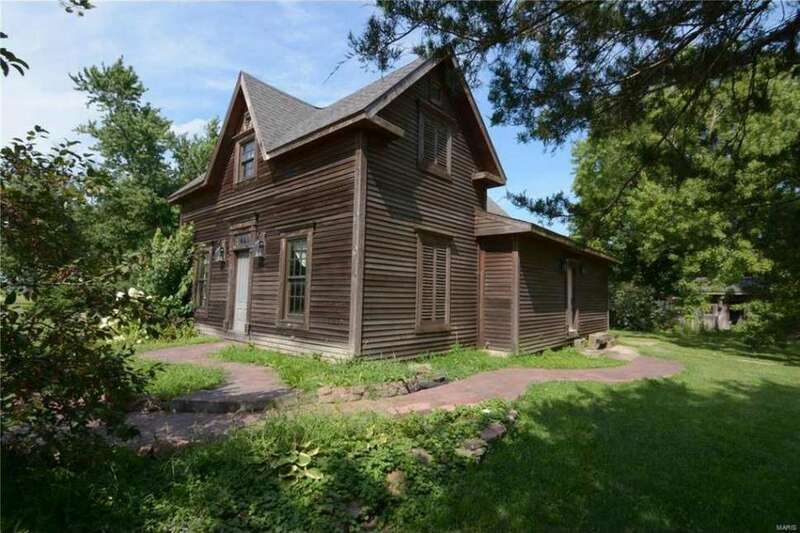 There are so many house styles I like, but I always seem drawn to the more rustic and primitive styles most. My ‘favorites’ box is full of them and it is the style my ‘eclectic’ home is leaning in our remodeling. 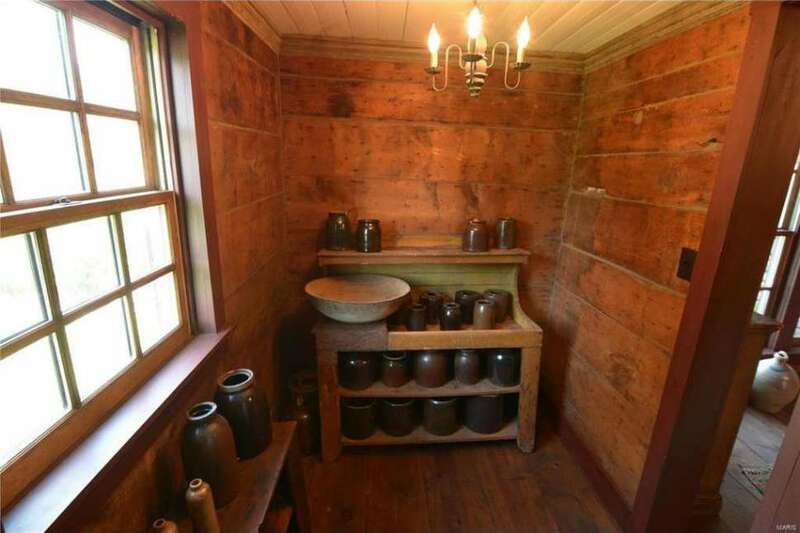 I will never own a true primitive house, but would like to do as these owners and recreate the style. The house has a calming vibe. And every photo looks like it came out of Colonial Life magazine. A gorgeous house. Previous commenters wondered about kitchen. There is none. See realtor site and pics there. It is also stated in the description that buyer can make unfinished kitchen their own. I think that’s the reason for a lower price. Kitchens are expensive. And the lack thereof off putting to the less adventurous buyer. I’d probably be going for it if I weren’t 1500 miles away. Oh, my dream home! I would move in a heart beat! Yes, I’m all in, especially if they leave everything there, all my stuff would fit right in! I’m thrilled that they took time and care and lots of research to be able to do this to this home! To be able to bring a house back in time is no great thing. No, it’s not everyone’s taste, but living in modern is not everyone’s taste either! I can’t believe the price, bless their hearts, as we say here in the South. Snow, yes, I would move in today! I just love it, and it’s my colors too, even the barn red, to the crock collection down to the old chairs in the home! Perfect and hats off to them, it’s a wonderful way of saving history. How is the staircase oriented with regards to the open doorway behind it? The pictures didn’t exactly make it clear, but it almost looks like they took out part of the wall so that the stairs are almost free-standing and you can walk around them to either side, which seems a little awkward to me. I’m not exactly a fan of the tile and faux stonework in the bathrooms, either, but everything else is quite lovely! 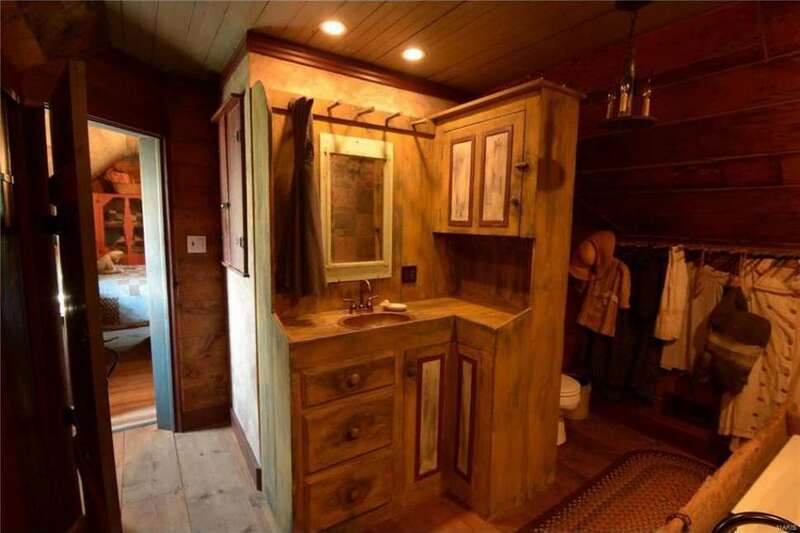 Since frontier-era log cabins in all their rustic glory can be difficult to come by, I completely understand the appeal of doing something like this, and the end result is quite marvelous. The staircase looks a little later than 1859 but it matters not a bit. I remember this! And still love it! It’s a lovely home. 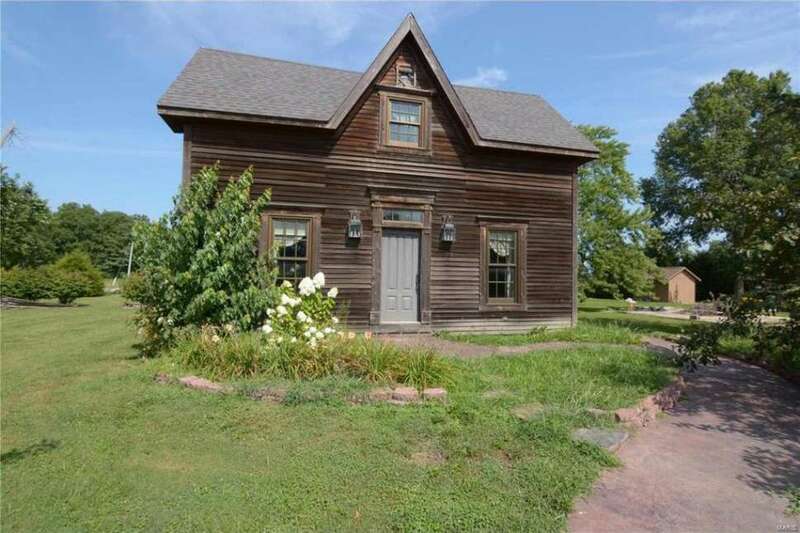 It reminds me of an area in Canada that has the same exterior look – the tall gable on the front of home. Barrie,Canada and surrounding cities. I like what they did, but I must be missing something, where are the kitchen and bathrooms ??? I love this house!!!! Its the perfect witchy house look for me. I wouldnt change a thing.